Commuters huddle in makeshift air raid shelter during civil defense drill. After the Doolittle Raid in April 1942, instructions for making shelters like this one were widely printed in newspapers. 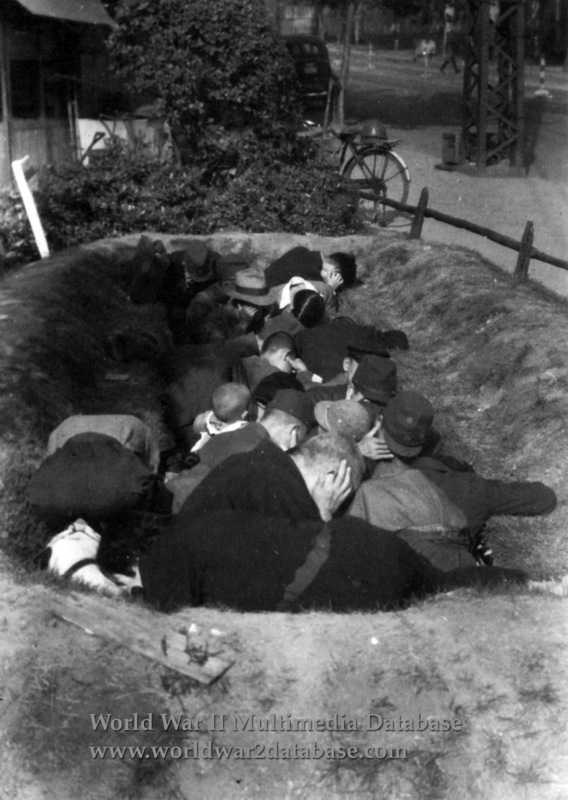 While many militarists in the government believed air raid precautions were unpatriotic, nevertheless rudimentary training of the public began and rudimentary shelters were built. The problem with open shelters such as these was that open pits could not protect against bombs and debris from above, and the shelters turned into crematoria when the firestorm hit.